Want to learn about start-ups and hear from start-up experts? Need guidance to develop your vision and business plan? The Newcomer Entrepreneurship Hub focuses on the entrepreneurial spirit of newcomers and assists in breaking down barriers by helping them to successfully establish a business and/or obtain employment. Additionally, the Entrepreneurship Hub (eHub) is available to all participants as a free co-working space for start-ups that require the space to establish and/or work on their businesses. The Newcomer Entrepreneur Hub is an accessible program that uses a holistic training approach combining in-class curriculum, off-site trips, speakers and workshops. It is a pre-incubator for newcomers who want to turn their ideas into start-up businesses! 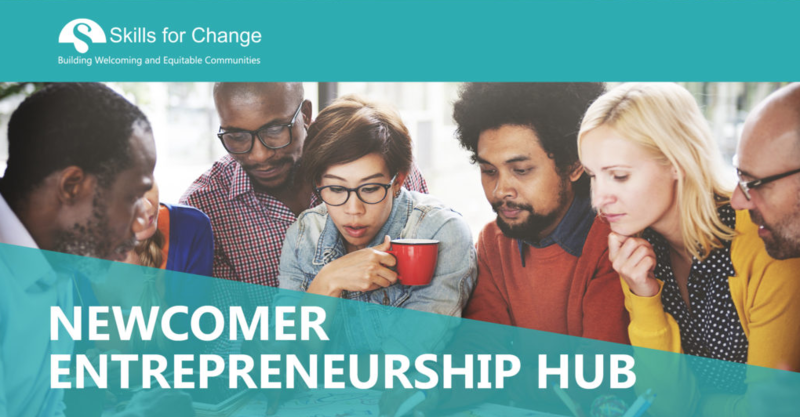 The Newcomer Entrepreneurship Hub at Skills for Change is a FREE program and is funded by Immigration Refugee and Citizenship Canada.